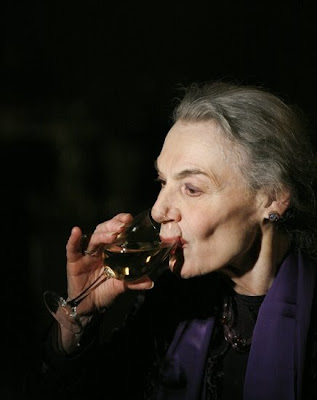 On Monday night, The Vinyard Theatre honored our lovely and much deserving Marian Seldes at their annual gala. Walter McBride, for BroadwayWorld, was there to take some lovely shots, including this one. To me it's a picture of a fine woman enjoying a finer thing of life, in so many ways. Marian originated her role in Edward Albee's Pulitzer Prize-winning play Three Tall Women at the Vinyard in 1993. It's one of my favorite plays that I've read but not seen. GREAT picture. For some reason it personifies class because of who the woman is and where she is.